General Motors (GM) has been fined $35 million for waiting a decade to recall vehicles with faulty ignition switches. The defects have now been linked to 13 deaths. 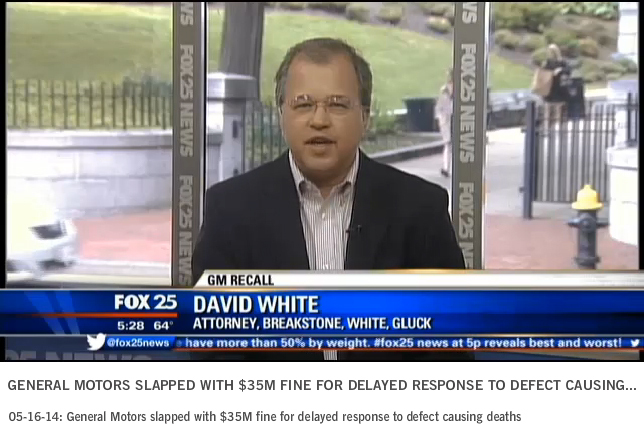 Attorney David White of Breakstone, White & Gluck appeared on Fox 25 TV in Boston last week to discuss the fine, GM’s recent bankruptcy proceedings and his thoughts about handling recall notices. This is an important topic because we have seen many auto recalls in recent years, but 2014 may set the record, according to this Los Angeles Times article. 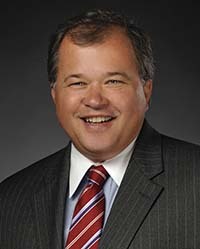 White said the fine is the first step in a long process ahead. The federal government is sending a strong message that companies need to act within 5 days of learning of safety defects, as required by law, White said.